On The GHRI Blog: The Ultimate Guide To Edible Flowers, Plus Recipes! / Hey, EEP! On The GHRI Blog: The Ultimate Guide To Edible Flowers, Plus Recipes! 1. Stir together the shallot and red wine vinegar in a small bowl; set aside 15 minutes (this will soften the bite of the shallot). 2. Meanwhile, put the eggs in a saucepan and cover with cold water by about 1 inch. Bring to a boil over medium-high heat, then cover, remove from the heat and let sit 8 minutes (for soft-medium cooked eggs pictured). Transfer eggs to a bowl of ice water to cool. Peel and halve the eggs. 3. Mix the mayonnaise and mustard until combined. Drain the shallots; discard the vinegar. 4. Spread the mayonnaise-mustard mixture on the toasted bread sliced. 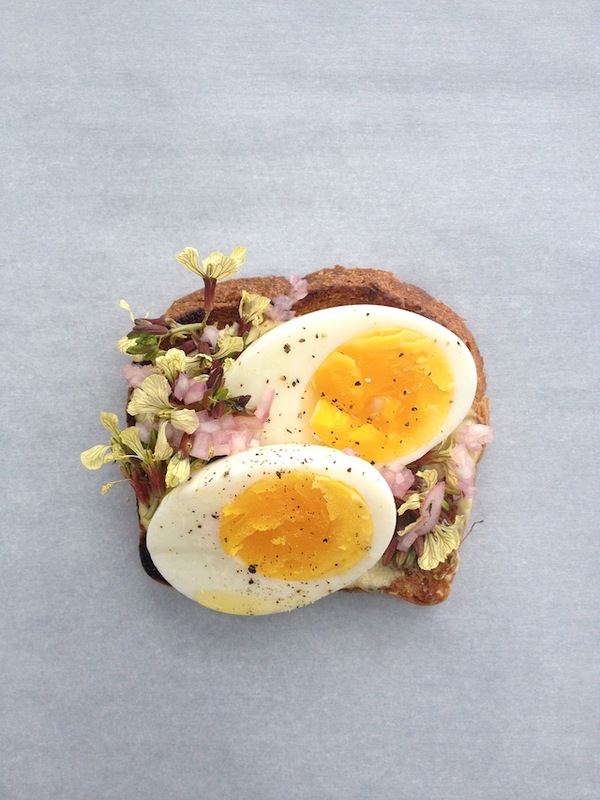 Top with the arugula flowers, shallots and egg halves. Drizzle with olive oil. Sprinkle with salt and pepper. Check out the full story, plus 2 more recipes (including this Johnny-Jump-Up Angel Food Cake with Sour Cream Glaze!) on the Good Housekeeping Blog! I'm curious: Have you ever eaten or cooked with edible flowers? What did you think of 'em? cheap football jerseysLooks good, seems to be delicious.